AM leader EOS has announced it will be partnering with German startup Additive Works to advance the metal additive manufacturing process through the further development of Amphyon, Additive Works’ simulation-based pre-processing software for AM. The software solution is capable of virtually simulating the AM build process and identifying potential problem areas in a part’s design before going to printing, saving users both time and production costs. 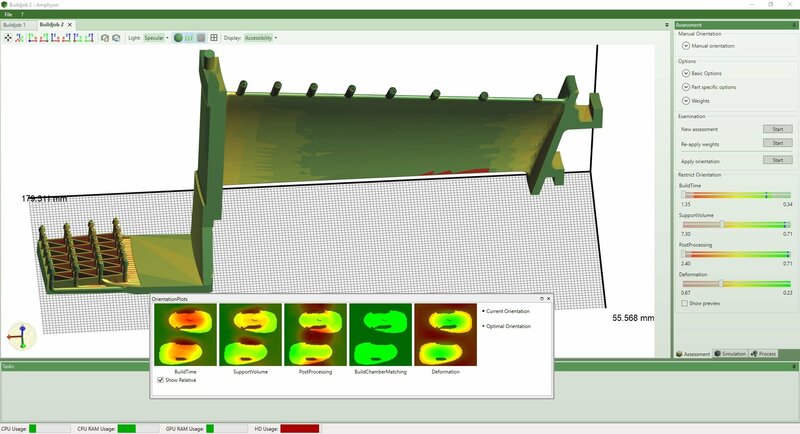 Simulation software is becoming a key ingredient in the additive manufacturing process, as it enables users to predict if a 3D model is optimized for 3D printing or will encounter problems, such as surface defects or structural compromise, when printed. Through its partnership with Additive Works, EOS will offer its Amphyon software solution to its clients and will work alongside Additive Works in further enhancing the platform’s support for EOS’ portfolio of metal materials, processes and systems. Ultimately, the goal for the two companies is to integrate Amphyon’s assessment, simulation and support modules into EOS’ job and process management sofware, EOSPRINT 2. 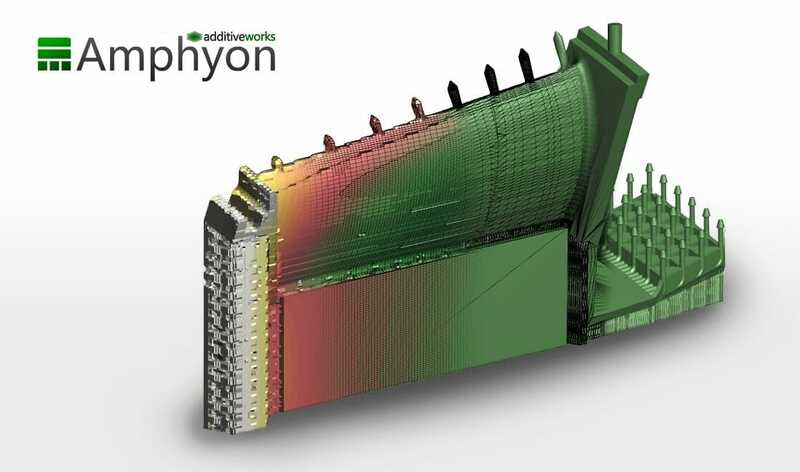 Additive Works’ Amphyon software solution is based on what the company calls the “ASAP principle,” which includes steps related to Assessment, Simulation, Adaption and Process. The workflow, designed for Direct Metal Laser Sintering technologies, offers automated print predictions and assessments, optimization support and process simulation. The first step in Amphyon’s AM simulation process is the assessment stage, which entails an evaluation of a given part’s geometry and an analysis of all possible build-up orientations. In this step, the software takes several factors into account including build time, support volume, post processing efforts and part deformation. A detailed and automated analysis of all these elements allows the software to automatically identify the most optimal orientation for printing the part. The simulation stage, for its part, comes in two modules: the Support module (in beta testing) and the Mechanical Process Simulation (MPS) module. The support module enables users to optimize and automatically generate support structures. Notably, the process also adapts the support perforation and the interfaces between part and support based on defined process loads. This, says Additive Works, helps to cut back on the support material used without sacrificing (and even improving) process stability. The MPS module provides efficient and intuitive tools for simulating process mechanics and calculating distortions. This module also compensates for these distortions by exporting and building a “pre-deformed” STL file. Presently, Additive Works’ simulation platform integrates profiles for key EOS metal materials, though the companies hope to expand this integration by adding support for all of EOS’ metal portfolio.